Knowing the risks surrounding you in the workplace can stop accidents and illnesses from occurring. There’s no doubt about it: sometimes, the workplace can be a real war zone. Just in the past year, over a million people in the UK have been become ill as a result of doing their job, and 144 workers were killed. The hazards are all around us; from electric cables sticking out from under the desk, to heavy machinery, unmarked hazards and so much more. You certainly don’t expect to go into work one day and end up in hospital the next, but as the figures show, that’s precisely what can happen. Assessing your workplace environment for potential pitfalls will help keep you in one piece. But, you say, you have a cosy job tapping away on your computer in the corner of the office, with a nice plant on your desk and a glorious view out the window. What risks could there possibly be to your health? 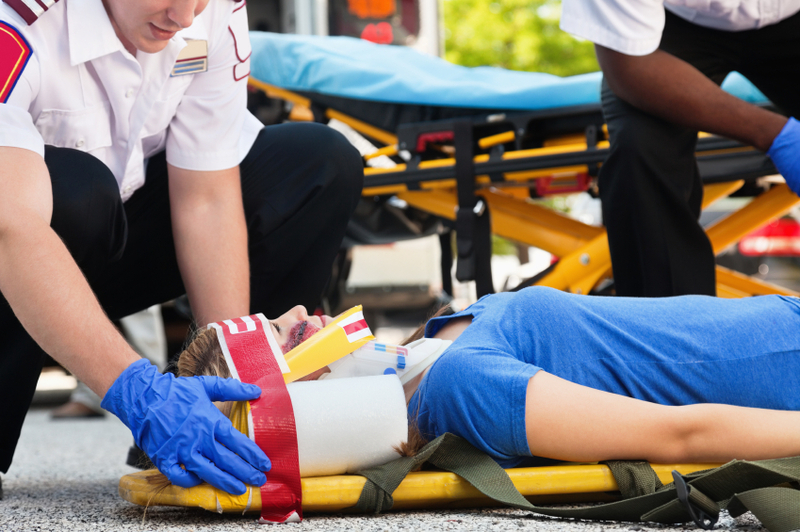 Why would you ever need to file work-related personal injury claims? Even in situations such as this, there are plenty of factors to be aware of. Repetitive strain injury is one of the most common workplace injuries, and certainly leads to a great deal of personal injury claims. As the name suggests, it’s caused by doing the same task over and over, leading to strains and injuries. Indeed, according to the repetitive strain injury charity RSI Action, the majority of people using computers at work – 73% – suffer from this condition at some point in their lives. That’s a lot of people, and potentially a lot of long-term ailments that send workers to a No Win No Fee personal injury solicitor to handle a claim. And one of the biggest perils in the workplace remains a largely silent one: asbestos. If it has been used in a building for a significant amount of time, this material that was once used for insulation may well present an imminent danger that must be dealt with. You might think asbestos is a thing of the past, but while the use of it is, thousands of people continue to suffer because of it. It’s astounding to think that in just 2014, 2,515 people in the UK died because of exposure to asbestos. The good news is that there are many things you can do to offset the risks of becoming ill or injured while on the job. Your employer will be legally bound to provide a safe and comfortable work environment for all the staff, including dealing with any asbestos issues — but on an individual level, there’s also steps you can take to be safer. For instance, if you predominantly work at your desk, staring into a computer monitor, you can perform a number of minor tasks and checks to keep you healthy. Ensuring the monitor is at eye level and you’re not crouching or staring up to it will do wonders for your back. Using the keyboard and mouse more efficiently will eliminate tension in your hands and upper arms, reducing the likelihood of repetitive strain injury occurring. Additionally, take frequent breaks; not just the extended lunch break you’re allowed during the day, but also brief get-ups and walk-arounds. We are not designed to sit down for long periods, and doing so can be detrimental to your health. You’re probably already seated for long stretches of the day, with the commute to and from work and maybe an evening with the family in front of the television, so at work, try to move about a bit. Even getting up from your chair every fifteen minutes or so, walking to the window and having a stretch would be beneficial, and your body will thank you. When we’re properly clued-in to the many possible hazards at work, we can then take steps to avoid them. We’ll be able to work better, live better, and avoid making personal injury claims for work-related accidents and illnesses. It’s a better life all round.